Stencil computations are widely used for solving Partial Differential Equations (PDEs) explicitly by Finite Difference schemes. The stencil solver alone -depending on the governing equation- can represent up to 90 % of the overall elapsed time, of which moving data back and forth from memory to CPU is a major concern. Therefore, the development and analysis of source code modifications that can effectively use the memory hierarchy of modern architectures is crucial. Performance models help expose bottlenecks and predict suitable tuning parameters in order to boost stencil performance on any given platform. To achieve that, the following two considerations need to be accurately modeled: first, modern architectures, such as Intel Xeon Phi, sport multi- or many-core processors with shared multi-level caches featuring one or several prefetching engines. Second, algorithmic optimizations, such as spatial blocking or Semi-stencil, have complex behaviors that follow the intricacy of the above described modern architectures. In this work, a previously published performance model is extended to effectively capture these architectural and algorithmic characteristics. 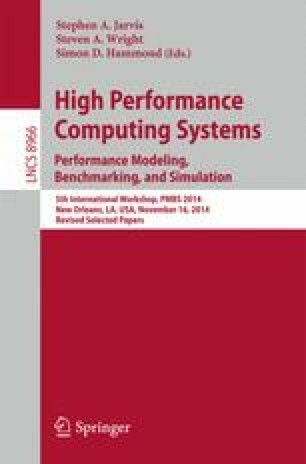 The extended model results show an accuracy error ranging from 5–15 %.